← Politics, a Poison for Justice? 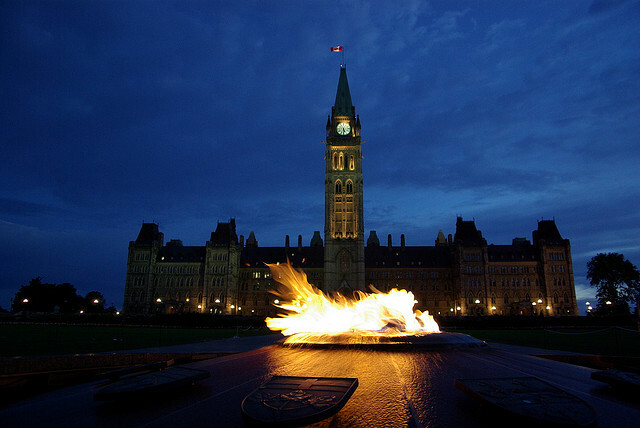 This past week the United Nations Committee Against Torture released a report into Canada’s human rights record. It wasn’t pretty. The Committee suggested that Canada was complicit in the torture of Canadian citizens post-9/11 and expressed concern at the “apparent reluctance on part of the State party [Canada] to protect rights of all Canadians detained in other countries.” Shocking, right? Not really – not if we look closely at Canada’s recent behaviour with regards to international justice and human rights. I should disclaim that, as a proud Canadian, this is a subject I feel very personal about. My frustrations may boil over. It is from a profound sense of patriotism and pride in Canada that I am so disappointed, sometimes infuriated, and certainly humiliated by Canada’s record. Whenever people ask why I am proud to be Canadian, I have a ready-made answer, developed over years from practice as well as hearing why people from around the world respect Canada. I tell them that Canada is a truly multi-cultural country which initiated the creation of peacekeepers, mediated the Suez Crisis, was at the vanguard of creating the Responsibility to Protect and played a leading role in the creation of the International Criminal Court. It is a medium-power that punches well above its weight. It is a moral power that people depend upon to be in the corner of human rights and international justice. So what happened? Not unlike other Western states, Canada got tangled in the political and ethical dilemmas characteristic of post-911 national and international security. It struggled, in particular, to balance the human and civil rights of its citizens with the prerogatives of anti-terrorist and national security measures. On a number of occasions the government decided that there was nothing to balance at all; security would come at the expense of rights. The results were disastrous. Here are but a few examples that illustrate Canada’s troubling record on respecting the civil and human rights of its citizens post 9/11. In 2002, Canadian citizen Maher Arar was deported to Syria while he was travelling through the US on his way back to Canada. US authorities believed he had terrorist links despite insufficient evidence to lay charges. The result was Arar’s extraordinary rendition to Syria where he was subsequently interrogated and tortured. While in detention, Arar maintained that he was forced to confess that he attended an al-Qaeda training camp in Afghanistan. Arar remained in detention for almost a year. He subsequently and successfully sued the Canadian government for $10 million. Even with President Obama’s plan to move detainees out of Guantanamo, Canada refused to repatriate Khadr. It has even been reported that the US had sought a Canadian request to have Khadr sent back to Canada. Khadr eventually pleaded guilty to murder in October 2010. Part of the plea deal was an agreement that Khadr would remain in Guantanamo Bay for another year before being transferred to Canada. Incredibly, however, he remains in Guantanamo and it is unclear when Khadr, once described by Radhika Coomaraswamy, UN secretary-general’s special representative for children and armed conflict, as representing the “classic child soldier narrative” will be repatriated. The story of Abousfian Abdelrazik may read like a cruel joke. In 2003, Abdelrazik was arrested in Sudan under suspicion of being linked to al-Qaeda and Osama bin Laden. Despite the suspicions, no charges were ever placed on Abdelrazik by any nation, while the CSIS and the RCMP cleared him of any wrong-doing. Because he has been on an international “no-fly” lists which prevented him from taking conventional commercial flights, Abdelrazik was forced to stay in Sudan. The Sudanese government subsequently offered to fly him to Canada on a private Sudanese plane. Canada refused the offer. Fearing for his safety, Abdelrazik took refuge in the Canadian embassy in Sudan in April 2008. The Canadian government called his situation “temporary”, but he stayed for over a year. 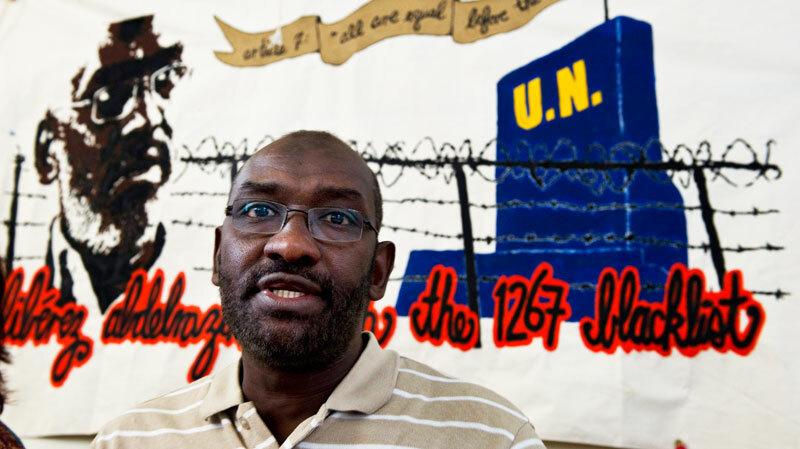 In total, Abdelrazik spent six years in forced exile in Sudan. Fearing the political consequences, the Conservative Government then jumped through every legal hoop they could in order to prevent Abdelrazik from returning to Canada. In April 2008, the director of consular affairs in the Department of Foreign Affairs declared that Mr. Abdelrazik was entitled to emergency travel documents that would allow him to return to Canada. Yet Abdelrazik was not able to leave Sudan because the Canadian government refused to issue him travel documents. Subsequently, 115 supporters of Abdelrazik presented a ticket for his flight to the Canadian government, appearing to open the door for his return. Incredibly, the government reacted by stipulating that anyone who helped to purchase a ticket for Abdelrazik could be charged under anti-terrorism legislation. Finally, in June 2009, after the Supreme Court of Canada ruled that Abdelrazik’s fundamental rights and freedoms had been violated by the government, he was allowed to return. Like Arar, he has promptly sued the government and senior ministers. However, despite being cleared of any wrong-doing, Abdelrazik has still been denied basic social services and goods, such as having a bank account, a job or benefiting from government programs. Prisoner Detainees in Afghanistan: Canadian Complicity in Torture? There is also Canada’s prisoner detainee transfer scandal. To make a long – and unresolved – story short, the Canadian government has been accused of transferring prisoners detained in Afghanistan to Afghan forces in the knowledge that those prisoners were likely to be tortured. If true, Canada would find itself guilty of war crimes. No one in the Canadian government has been held accountable and it doesn’t appear likely that anybody will be any time soon, if at all. As a result, in 2007 and 2009, UBC Professor Michael Byers, along with international criminal justice guru, William Schabas requested that the Office of the Prosecutor (OTP) of the ICC (yes, you read that correctly) conduct a preliminary investigation into alleged war crimes committed by Canada. A War Crimes Most Wanted List: Hand-Washing? An End to Maple Leafs on Knapsacks and Backpacks? Of course, it would be misleading to suggest that the story is all bad. Canada is neither an “evil empire” nor a regular violator of international law or human rights standards. Over the years, the Canadian Government has also reaffirmed its commitment to global justice and human rights. 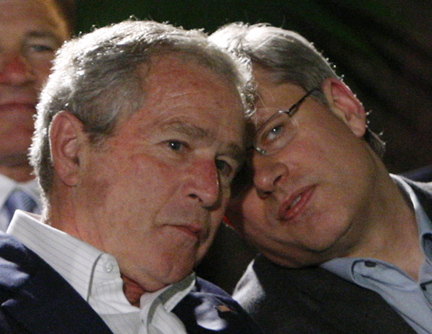 It apologized to Aboriginal groups for the nightmarish, state-led practice of residential schools; it contributed $500,000 to the ICC to enable the OTP to investigate atrocities in Darfur; under the Liberal Government, Canada decided not to join the “Coalition of the Willing” in Iraq; Canadian forces played an effective and leading role in the intervention in Libya; and, more recently, Canada rightly withdrew from the UN World Terrorism, I mean Tourism, Office after it appointed Zimbabwe’s tyrant, Robert Mugabe, as its head. Moreover, in response to the report a Conservative MP has declared it is “high time” that the Canadian government consider withdrawing from the UN altogether. Canada’s flailing record on human rights and international justice is catching up with it and its reputation is suffering. When I tell people I’m Canadian increasingly people ask “What happened to Canada?” It’s a question I often find myself asking. Not long ago, Louise Arbour, the former Canadian Supreme Court Justice and Prosecutor at the International Tribunals for the Former Yugoslavia and Rwanda exclaimed that the time when travelling Canadians could proudly wear the Canadian Maple Leaf and expect to be praised was coming to an end. Of course, Arbour called “a disgrace”, rather than thanked, by Public Safety Minister Vic Toews (the same minister who is responsible for Canada’s war crimes list) when she stepped down as the UN Human Rights Commissioner in 2008. Whether or not Arbour’s premonition ultimately comes true remains to be seen. But this Government is doing somewhere between little and nothing to ensure that it doesn’t. It is time Canada returned to the days when it was a beacon of human rights and international justice. It isn’t impossible. Our reputation and quite possibly our clout depends on it. This entry was posted in Afghanistan, Canada, Extraordinary Rendition, Guantanamo Bay, International Criminal Court (ICC), Justice, Torture, War crimes and tagged Abousfian Abdelrazik, Maher Arar, Omar Khadr, Stephen Harper. Bookmark the permalink. Thanks for catching that and bringing it to my attention, David. It’s much appreciated.